Bright & Cheerful for your Winter Decor! 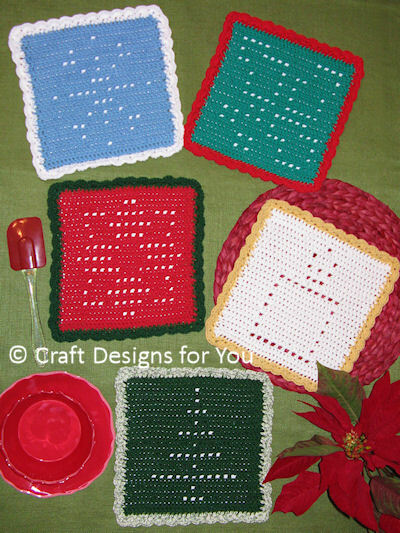 This wintry set of dishcloths features a snwoflake, holly, poinsettia, candle and maple pine tree in easy filet style. Each dishcloth is 10 1/4" square using worsted weight cotton.